In an earlier post I initiated a geo-twitter experiment to see how much it is possible to learn from twitter about a complicated issue. My twitter feed serves as a sort of selective (and non-expert) news feed for Southeast Asia. It selectively aggregates tweets that show up through searches of Twitter on Burma, Myanmar, Cambodia, Thailand, and Malaysia (as well as related items — Kachin, Karen Burma, …). I also add tweets based on news stories I come across in newspapers and web news sources from the region. The idea is to select a number of the news items that reference these parts of Southeast Asia in the twitter fire hose and see whether they begin to add up to an intelligible picture. Southeast Asia doesn’t get extensive coverage in the western press, and using twitter appears to be a way to get a more detailed understanding of what is going on. In Burma there are basically three clusters on the map right now: news on the ethnic armies in the Kachin/Shan provinces in the north; news on the Burmese army offensive against Karen independence forces on the Burma-Thai border (and the refugees and displaced persons who have been created); and news of the government’s corruption and brutality as well as the trial of Aung San Suu Kyi. 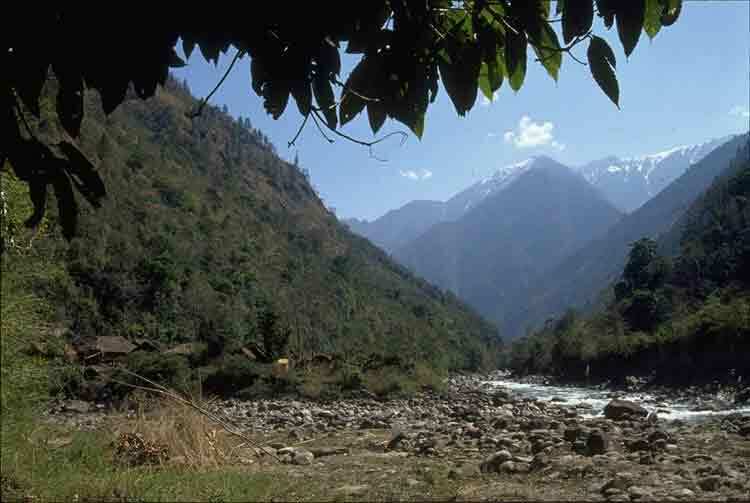 Here I’m going to focus on one cluster — the Kachin region in north Burma — and simply reproduce the items that have come through in the past month. 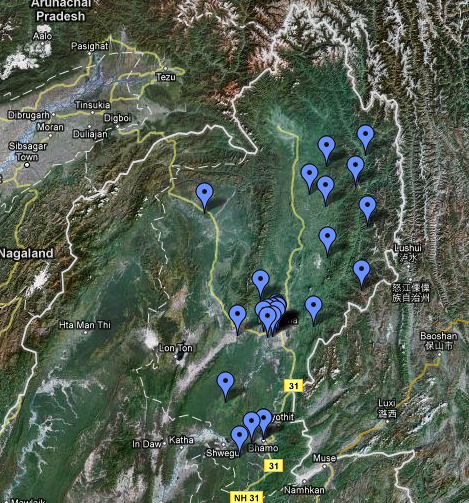 Here are the posts that are tagged on the map of north Burma above. Does this begin to give a somewhat coherent view of what is happening in this part of Burma? These two dozen items raise several related story lines: the persistence of ethnic identities and independence movements in several parts of Burma; the persistence and military significance of the Kachin Independence Army / Kachin Independence Organization; the brutal behavior of the Burmese army around its bases in Kachin and Shan states; the corrupt exploitation of resources by the junta; and the ongoing negotiation between the Burmese junta and leaders of the KIO over the Burmese demand that KIA transform itself into a border control unit under control of the Burmese army. 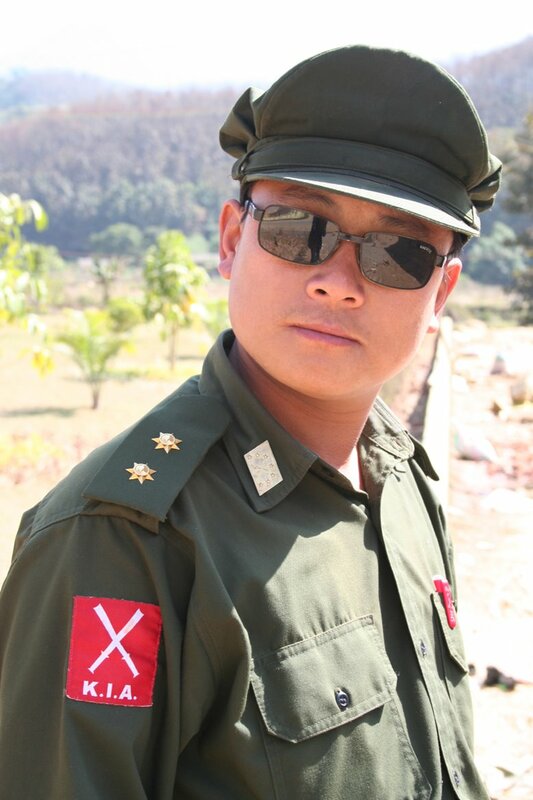 So it seems as though the experiment is at least somewhat successful: there is enough content in the twitter feed to provide a basis for beginning to see some of the lineaments of the current social and military situation in Kachin State. It’s a different kind of exposure from what commentators have discussed so widely about twitter in Tehran — almost none of these items come from local participants. Instead, they are postings by interested observers who are reading expatriate web sites, blogs like New Mandala that attract academic experts on Southeast Asia, news sources like Kachin News and The Irrawaddy that specialize in the region, and twitter contributors such as kambodscha, jonfernquest, and andrewspooner who have long experience and knowledge of Cambodia and Thailand. But when you mash it all together, you get a remarkably nuanced picture of the current social reality. And there are surprises as well — for example, after two weeks of dozens of items on the Burmese army’s assault on Karen camps on the Thai border, that issue has gone silent.